It’s unsettling when your dad stops doing the things he loves. His favorite activities don’t just make him happy; they keep him physically, mentally and socially active, which can have substantial health benefits for isolated seniors. When Dad stops doing the things he loves, not only is he losing these benefits, he may also be showing signs of deeper problems. It's important to be very aware of changes to your loved one's daily life so that when you notice that he's stopped doing the things he loves, you can quickly react by either scheduling medical follow up, or investigating additional care for Dad at the house. Because as you’ll discover, it is critical they he remains active. If seniors stay mobile longer, this can help them remain socially active and avoid isolation and depression. Keeping your loved one’s mind active can be just as beneficial. Staying mentally active can delay mental decline, including slowing the advancement of dementiaand Alzheimer’s. The National Institute on Aging says that mental stimulation builds “cognitive reserve” which helps the brain to cope with the changes that aging brings, as well as making seniors feel “happier and healthier.” The benefits are not just seen while the senior is carrying out the mental activity. Studies by the University of Florida showed that seniors who were mentally active showed “long-lasting improvements in memory, reasoning and speed of processing” over five years after the period of activity. As well as the mental and physical benefits of their favorite activities, seniors may also be socializing while they walk with a group or play chess, for example. Socializing has also been shown to slow cognitive decline. Seniors who are frequently socially active are 70 percent less likely to decline cognitively. If your dad has stopped participating in his favorite diversions, what could be causing his lack of interest? There are a few possibilities. Seniors are more prone to depression than the general population. The National Alliance on Mental Illness says more than six million American seniors live with depression. Only 10 percent of seniors with depression receive treatment and the symptoms of depression are often confused with signs of mental decline. Seniors have lower serotonin levels, which makes it harder to balance moods. Sometimes, they can be isolated and lonely, which can also be a cause of depression. If your loved one exhibits these symptoms on top of withdrawing from their favorite activities, you should seek medical advice. Even if your senior is still relatively active, the University of Alabama recommends asking two questions that can help show if a senior is losing mobility: Do you have difficulty climbing 10 steps or walking a quarter of a mile, or have you modified the way you climb 10 steps or walk a quarter of a mile? If the answer to either is yes, your loved one should consider consulting a physician. If your loved one is showing any of these symptoms along with withdrawing from his favorite hobbies, you should seek medical advice. As discussed, your loved one’s favorite hobbies are brimming with benefits, so ensuring he can continue doing these things to the best of his abilities is essential. 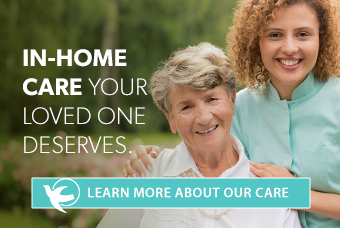 Professional home care may be one way to help. Professional caregivers can help remove the barriers between his favorite hobbies and his evolving needs. They can offer vital companionship and support in battling depression. Professional caregivers can physically help him by accompanying him on walks, dealing cards or by helping him fill in his crossword puzzle. They can also help him exercise to prevent further decline and keep doing the things he loves into the future. If the barriers to participation are mental, professional caregivers could offer something as simple as conversation, a friend to speak with when no family is available. And if your loved one's lack of interest in his favorite things is a symptom of more significant issues, consider experienced caregiving to manage his condition, keep him as independent as possible, and hopefully facilitate doing the things he loves for many years to come.